(ZE/LCD) (Mexico City) 2001 - 2007. Photos. Framable Color Prints and Poters. Digital Sharp Images. Aviation Gifts. Slide Shows. 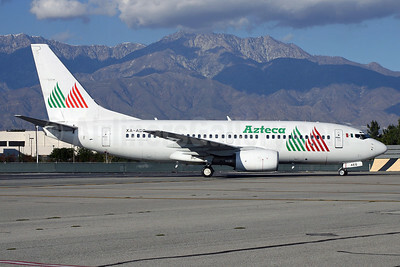 Azteca (Líneas Aéreas Azteca) Boeing 737-7EA XA-AEQ (msn 32407) ONT (Michael B. Ing). Image: 921941.